Tying Note: Coat the finished fly, including the bead with brushable superglue, Sally Hansen’s Hard as Nails nail polish or Loon's UV Clear Fly Finish Flow. 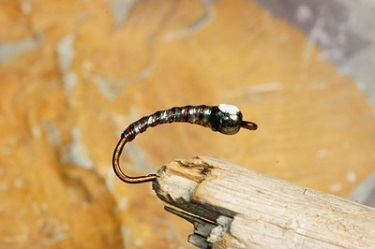 John Kent has developed a reputation as an innovative fly tyer, particularly when it comes to chironomid patterns. The skill John demonstrates doesn’t happen by accident. John is particular about the materials he chooses and the manner in which uses them. Each thread wrap creates twist. Twisted threads increase bulk making it difficult to obtain the slender tapered look chironomid pupa patterns require. If you are right handed and using a flat profile thread you can remove thread twist at any point during the tying process by spinning the bobbin counter clockwise when viewed from above. Flat threads can also be twisted tight to increase thread strength by spinning the bobbin clockwise. John realized that a slender natural taper was one of the critical traits common to all successful chironomid pupa patterns. To build up a consistent taper, John forms an underbody over the front third of the hook shank using tying thread or Uni-Stretch on larger patterns. Uni-Stretch is a stretchable nylon floss that easily loads into a tying bobbin. Under thread tension, Uni-Stretch compresses reducing bulk making it an excellent chironomid gill material. 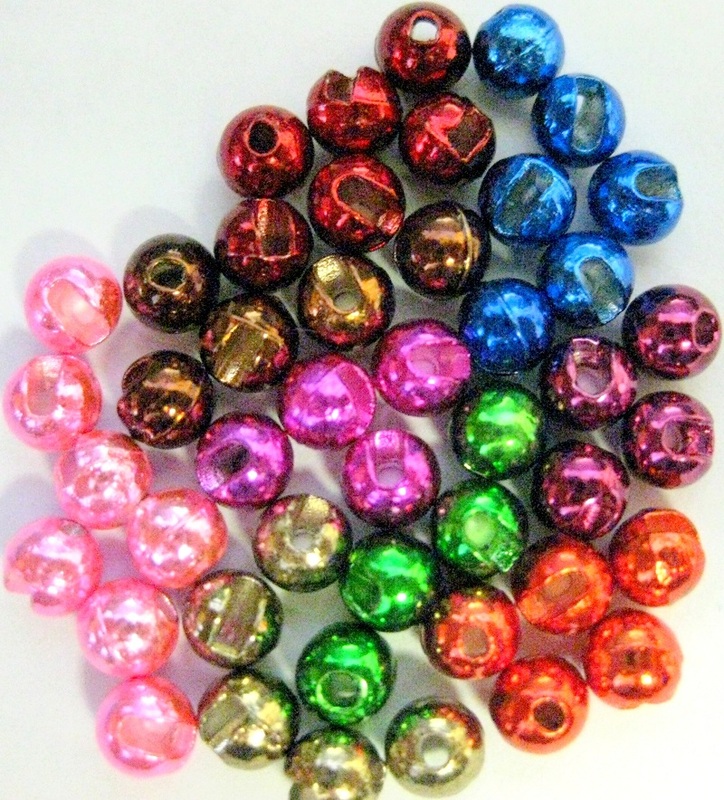 Brass or tungsten beads slide over the gill tie in area without risk or worry. After sliding the bead onto the shank, narrow end towards the hook eye, John attaches the tying thread behind the bead winding it back to the midpoint of the shank. If he is forming a Uni-Stretch underbody, John attaches it behind the bead. He then builds a smooth gradual taper from the hanging tying thread up to the outside diameter of hole at the rear of the bead. Tying the thread in first prevents the Uni-Stretch underbody from sliding back from the bead. Remember the body material affects underbody dimension. Thicker materials dictate thinner underbodies. 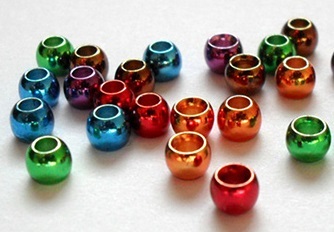 Small diameter beads also reduce underbody bulk as it takes less material to expand to the outside diameter of the hole at the rear of the bead. 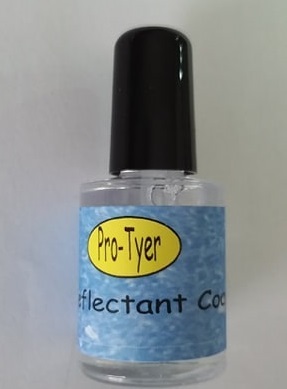 If you are concerned that small brass beads won’t sink your fly use tungsten. John is big fan of contrasting ribs, wire or wire and Mylar. Double ribs are tied in together so they behave as though they were one. John ties in his ribbing behind the bead along the underside of the shank. For double wire ribs he uses the thinnest wire possible. Wire diameter effects both the fly’s look and profile. There is a significant difference between small and extra small wire on size 12 or smaller pupa patterns. To tie in a double wire rib, even both ends, hold them tight together and bind them in place. John secures the ribbing three quarters of the way down the underside of the shank. To reduce bulk, John unwinds the last thread wrap and ties in the body material. With the body material secure, John binds the body and rib materials together down the shank into the bend. If he is using a wide body material, such as Scud Back, John trims the end to a point easing tie in and reducing bulk. A body is only as smooth as the foundation below. Prior to winding the body and rib forward fill in any valleys with tying thread. The benefits of flat thread wraps are once again apparent as they cover a wide area with minimal bulk. To maintain the thin profile chironomid pupa patterns dictate, thread wraps must be kept to a minimum. In our conversations John stressed when he ties, every thread wrap has a purpose, nothing is wasted. After tying off wire ribbing, break it using a pulling and twisting motion. This technique prolongs scissors life, eliminates unnecessary threads wraps to cover exposed wire and avoids breaking thread on the sharp ends of the wire. Placing your thumbnail at the tie off point and pinching the fly expedites the break off. John, as with many tiers, prefers the simplicity of a thread thorax that slopes up gently onto the rear of the bead. Build a shallow taper by wrapping thread wraps back and forth behind the bead no further back than length of the bead. Avoid steep tapered thoraxes as they are difficult to finish. If your thorax is too steep the thread tends to tumble and unravel during the whip finish. John uses a variety of gill styles for his beadhead pupa patterns. White beads and beads combined with yarn or Uni-Stretch gills are common. Another gill option John prefers involves applying a small circular dab of white fabric paint to the top of the bead. As with white beads, fabric paint won’t stain like yarn or floss gills in algae tainted water. 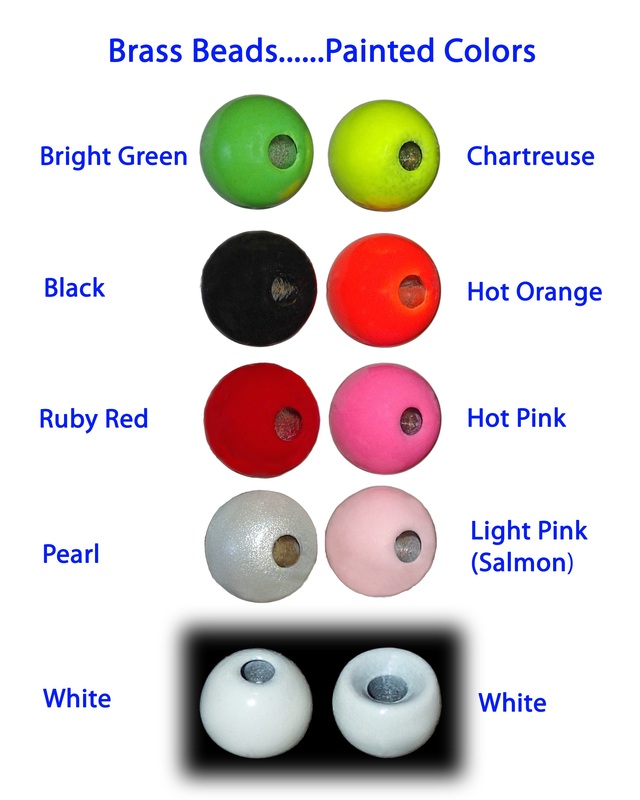 The small white spot also works in clear waters when cautious trout avoid patterns using stark white beads. Once the fabric paint dries, apply the final finish coat to the body and bead with brushable superglue, high gloss nail polish or UV cure resin. With practice and discipline you will be able to fill your fly boxes with a myriad of realistic tapered chironomid pupa patterns. The thread and proportional techniques soon become second nature, tying skills that also lend themselves to other patterns.